They're back with a 2019 edition, again near Prospect Park. 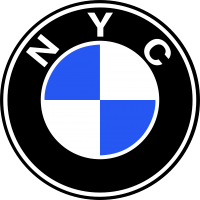 If you have not already done so, please mark your calendars for May 19 for the next installment of CarPark, New York City's curated cars and coffee, which will take place at Brooklyn's Grand Army Plaza in Prospect Park starting at 8 a.m. While our new location is much larger, we will continue to preregister cars for reserved spaces, and save just a few for others on a first come, first served basis. If you are interested in showing off your ride in Brooklyn's Prospect Park, please use the below link to sign up -- and please spread the word! Per usual, we will have live music, fresh coffee and snacks. Please remember, we do not permit commercial advertising of any kind at the event unless it is from our gracious sponsors and pre-approved by CarPark staff. We hope you understand. How quickly does this fill up? I’d like to meet local ‘02 people. I’m just about to tear the whole car apart, and it’d be good to see what the local scene is like. Darn. Believe I'll be at the Vintage. This is a good time though. What are you doing on the car .. seemed to be really well-sorted last fall. Think he had the engine rebuilt at SCR, Vince. Meanwhile I'm supposed to pick mine up Friday, to drive on the road for the first time in THREE YEARS, but my guy told me it's not gonna be ready because it needs some "odds and ends". Crap! I wonder how much "odds and ends" are going for these days?